Many people do not realize just how easy it is to be charged with an assault or threat crime like false imprisonment in New Jersey. 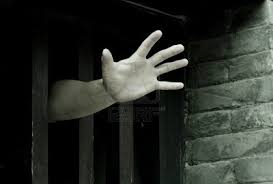 False imprisonment is a default charge in a lot of domestic violence situations. When one partner refuses to walk away from a heated argument, the other partner can feel as though they are not free to leave. NJ law enforcement won’t take any chances in situations like these; they will simply arrest the individual and let investigators sort it out later. It’s also possible that a harmless prank got out of control and resulted in the intended target feeling constrained or unable to leave. 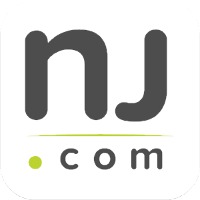 Unfortunately, New Jersey prosecutors won’t care about the circumstances; they tend to seek harsh penalties in these cases because the public is extremely sensitive anytime a person’s freedom is restricted. The Tormey Law Firm helps clients fight false imprisonment charges throughout Essex County, NJ, including Nutley, Bloomfield, and West Caldwell. Our criminal defense attorneys have years of experience handling threat crime cases such as false imprisonment, criminal restraint, and stalking. In fact, the firm’s managing partner, Travis J. Tormey, is often called upon as a legal authority in a number of related criminal areas. Prior to founding the Tormey Law Firm, Mr. Tormey worked at the United States Attorney’s Office. Call the Tormey Law Firm now at 201-654-3464 to discuss your charges and begin your defense. False imprisonment charges in New Jersey are governed by N.J.S.A. 2C:13-3. A person may be charged with false imprisonment if they knowingly and unlawfully restrain someone else so as to interfere substantially with their freedom. Keep in mind that the prosecution must prove that you knowingly restrained the other person. Many times, the defendant does not realize that the other person did not feel free to leave the situation. This is especially true if the situation came about during a heated argument. If you were not fully aware of the ramifications of your actions or words at the time, it might be possible to get your false imprisonment charges downgraded or even dismissed outright. False imprisonment is considered a disorderly persons offense. If you are convicted of false imprisonment in New Jersey, you may be sentenced to as many as 6 months in county jail. Moreover, if you used a motor vehicle while committing false imprisonment, you could lose your driving privileges in the State of New Jersey for up to 2 years. False imprisonment is closely connected to the charge of criminal restraint. It is easier for a person to be charged with false imprisonment because all that is required is proof that you unlawfully restrained someone else; by contrast, criminal restraint requires proof that your restrain created a risk of serious bodily injury to the other person. Criminal restraint is classified as a felony-level offense under the New Jersey Criminal Code. This means that you may be subject to significant penalties, including 3–5 years of state prison time. Kidnapping is an elevated charge of false imprisonment and criminal restraint. Anyone who unlawfully confines another person for the purpose of holding that person for ransom or reward may be charged with kidnapping. You can also be charged with kidnapping if you unlawfully confine another person in order to facilitate the commission of another crime. The penalties for kidnapping are extreme. If the victim was harmed during the kidnapping, you could be sentenced to life in New Jersey State Prison. The experienced criminal defense attorneys at the Tormey Law Firm are prepared to challenge the prosecution and help you avoid the most serious consequences of a false imprisonment conviction. Call us today at 201-654-3464 to discuss your false imprisonment charges, or email us to schedule a free consultation at our Newark office.